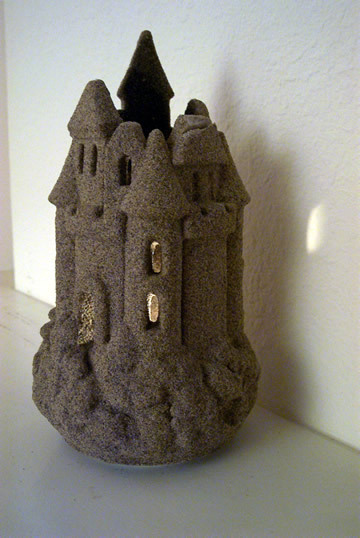 Sand texture to a plaster model that stands 9"
For years I have had friends drawn like a magnet to the small castle on my fire place mantel. 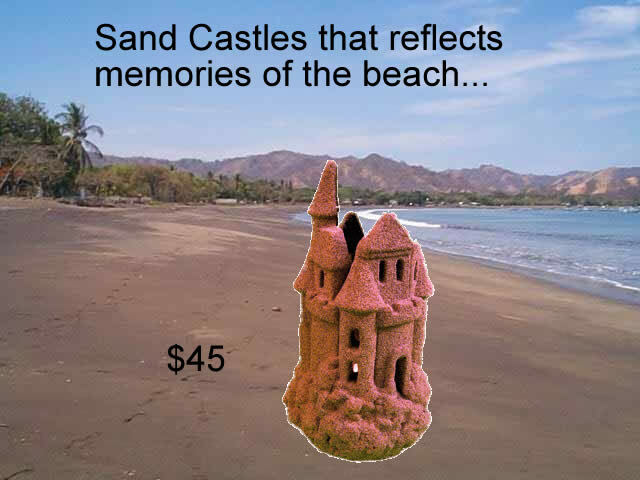 Captivated by it's style, and real sand texture, they marvel over it's shear splendor. Order now and we'll donate 15% of the proceeds to a non-profit organization called Show Peace. It's dedicated to spreading their peace dove peace icon so other's can see that their not alone in thier belief in peace.